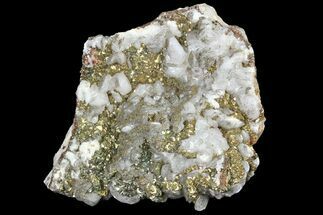 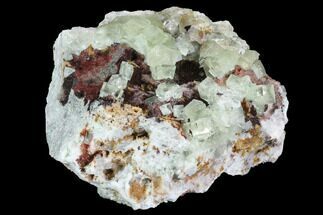 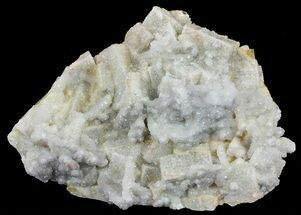 This small specimen contains quartz, calcite, fluorite and pyrite micro-crystals, collected from the El Hammam Mine, Morocco. 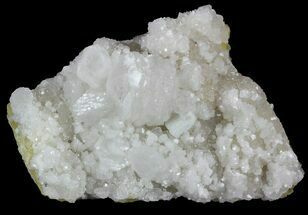 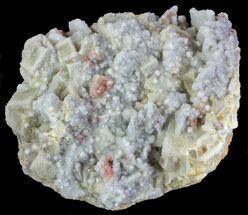 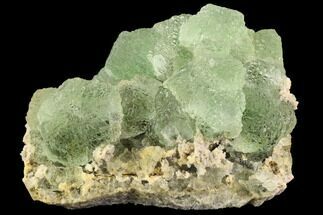 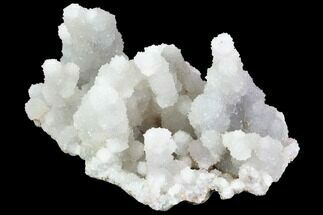 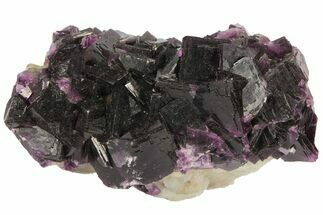 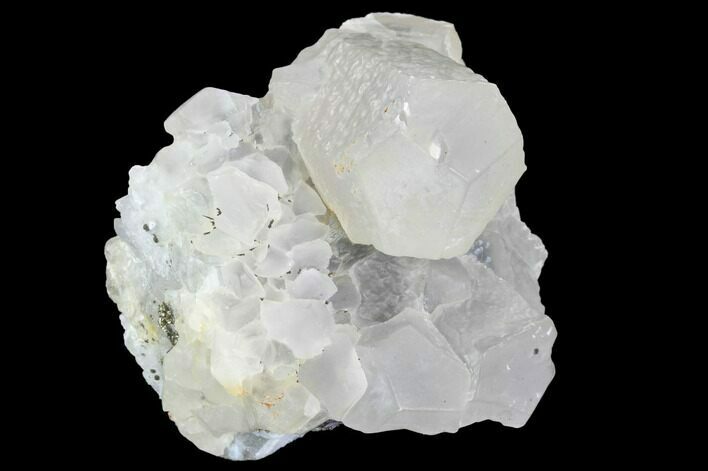 The calcite is the primary mineral of this specimen, displaying a fantastic calcite crystal at the top of the specimen. 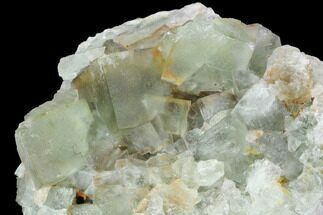 Under short and long-wave UV lighting, the calcite fluoresces pink-orange, while the fluorite at the bottom of the specimen has a beautiful deep blue-purple fluorescence.